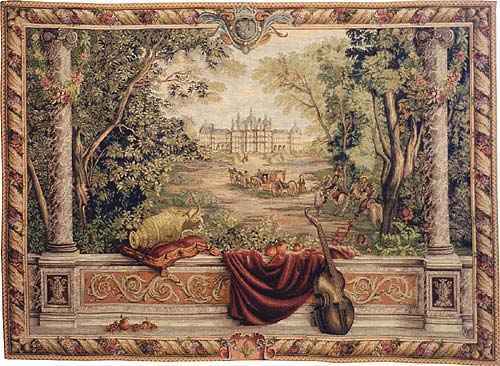 One of the `Royal Residences` series designed by Charles le Brun in the late 17th century and woven at the Royal Gobelins Workshops in Paris for Louis XIV. Woven in France in a fine blend of 50% wool, 40% cotton. Lined, with a rod pocket for easy hanging. 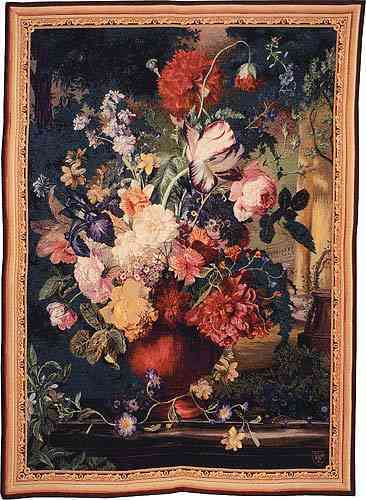 From an 18th century dutch masterpiece. A fine 50% wool, 40% cotton weave. Woven in france. Lined, with a rod pocket for easy hanging. 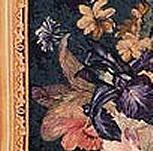 A poular 18th century French motif. Four formats available (this is a shorter one). Woven in France. 50% wool, 40% cotton. Lined, with a rod pocket for easy hanging. 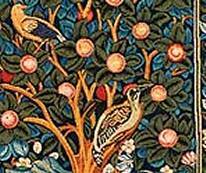 Designed by William Morris in 1885 and based on his poem about Picus, the fabled Italian king who was transformed into a woodpecker. Woven in France. 80% cotton. Lined, with a rod pocket for easy hanging.